When it comes to marketing on Facebook with videos, visualizing before posting and marketing becomes priority. To run a successful ad campaign, limit your targets and audience. If a specific ad is only for girls , set it in that way. There comes a new way to market on the social network with the use of "Video marketing" on Facebook.Video marketing is also called as "Viral Marketing" in the books of advertisers. Videos and images speak a lot about a product to customers. 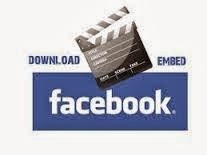 To make the videos work good for your business, marketing on Facebook will give an added advantage. Facebook has a vast set of audience and you can target type of audience. Pinning Videos : In Facebook, there is a facility to pin your videos at the top of the page. This will keep your video highlighted without being pushed down post by post. Facebook Power Editor: allows you to create and post video ads in Facebook’s news feed and in the margin on the right of users’ pages. More videos than text: Facebook users like videos instead of reading long texts. Consistent: Being consistent in adding new content to your pages with videos will bring to more and more audience which may convert to buyers. Videos on Facebook go viral and can make profits for your brand if done with tricks. Well, Facebook is also a great way of video marketing but today people uses Youtube, vemio and other social video sharing websites. You describe the facebook video marketing in a constructive way. Thanks for the share. A video hosting service allows business or an individual to upload and share their business or personal product’s video, to watch them legally. The website which is used as video hosting website is usually referred to as video sharing website. What video hosting website does is that it stores the video on its server, and reveal the individual various types of embed codes or links to allow others to see this video. The video content uploaded can be anything from short video clips all the way to long duration videos.